PBR Streetgang has a long lasting relationship with 2020Vision, through the various record shops, dancefloors and after parties shared in Leeds over the years. They have also remixed tracks from the last two Crazy P albums for the label. As residents at We Love at Space Ibiza they’ve carved a niche as a classy DJ double act as adept at backroom disco sets or terrace filling house tear ups, all delivered with a smattering of funk and good times. 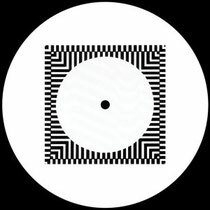 Their debut 2020 EP follows up their ‘Downstroke’ release for Hot Creations, a huge throbbing low-slung houser indebted to Mike Dunn’s classic ‘God Made Me Phunky’. This EP continues the vibe of this last release, all tracks drip with funk in a sleazy house flavour with a definite disco edge. Much like the PBR DJ sound they have now found a trademark production style that utilises their love of a body shaking bassline, crisp beats, quirky samples and a unifying groove. Sunday 3rd June - The Garden Party, Leeds. Saturday 9th June - Futureboogie warehouse party, London. Saturday 23rd June - Fruit Warehouse, Hull. Sunday 24th June - We Love, Space, Ibiza. Wednesday 4th - 11th July - The Garden Festival, Tisno, Croatia. Sunday 22nd July - We Love, Space, Ibiza. Friday 27th July - Magic Lounge about festival, North Yorkshire. Saturday 28th July - Farm Festival, Somerset. Sunday 26th August - The Garden Party, Leeds. Friday 7th - 9th September - Bestival, Isle of White.